Sculptor Rob MacDonald starts to look at the threefold fight for art. Access – to the facilities and time to make and appreciate art. Freedom – from state and political control, and the interference of commercial interests. And organisation – bringing artists together to win improvements, linked with the wider workers’ movement and the fight for socialism. The establishment often peddles an illusion of artists as excessive, impractical, spoilt dilettantes. They took mind-altering absinthe in 1920s Paris. They danced naked around fires in the ’60s, or threw TVs from hotel windows in the ’70s. Although many of us are flamboyant – and proud to be so – the stereotype is part of a sometimes conscious effort to cut the working class off from the arts. There have always been well-to-do prodigals. But there is also a long history of working-class artists. The artist today, more than at any time in the past, is more likely to be a worker than a wealthy loafer. The perceived excessiveness of art does still exist. But it is more expressed today by the obscene wealth gap between the celebrity super-artist, and workers and young people who are artists, often in low-paid, insecure jobs. We struggle for spaces to develop our creativity, and then face exploitation, pressure to conform and a system that wants our talents for free. In the advanced capitalist countries, the arts have developed for greater numbers than ever before to participate in and enjoy. On paper, all the tools and options exist for workers and young people to be artistic. Compared to most of human history, society has enormously more education, free time and resources. The reality for most people is very different. Those who are plucked from obscurity to become rock stars, bestselling novelists or international modern artists are almost as common as unicorns. The majority of this tiny elite was born into it anyway, coming from super-wealthy or well-connected families. For the rest of us, even the most talented, it is not even attainable to earn a living wage from the arts. Across the globe, grinding poverty is normal for big sections of society. Even in the richest countries, the capitalist politicians’ budget cuts and privatisation drives have unleashed unending job and home insecurity for the working class and much of the middle class. In this environment, art by and for workers and young people is pushed to the bottom of the agenda. Funding goes instead to tax breaks for the super-rich, who can afford to engage with a privatised arts world. But people across the globe are fighting back. They are forging new organisations to further this struggle, with varying degrees of success. Social movements, like the campaign against water charges in Ireland. Industrial movements, like the fight for a $15-an-hour minimum wage in the US. Political movements, like the surge of support for Bernie Sanders. We are in a new era of politics, with the old certainties of relative political and economic stability gone. The needs of the arts are high on many people’s agendas in these struggles. Capitalism is not capable of solving these problems – they are inherent to it. We outline this further in ‘What is capitalism? What is socialism?’ The task for socialists in the arts is to help lead the fight to defend and extend artistic access and freedom for workers and young people. But we link this at every stage to the need to change the system itself: to wrest economic and political power from the capitalists and their politicians. The only way to do this is by advancing a programme: a raft of demands that artists and other workers can organise to win. By fighting for these demands, we hope to learn alongside others to help build that movement, and help workers and young people discover the collective power they have to change society. This article is part of our contribution to developing such a programme, and building the struggle for socialism. Art is essential to human activity and the sign of how healthy society is at any given time, and working-class communities have just as much right to it as the 1% elite. Artistic expression is how humanity comes to understand itself, breaking down barriers between individuals and cultures. This effect can be hard to quantify, but what studies there are show that investment in the arts has a positive impact on a population’s mental and physical health. Stunting society’s ability to share and refine ideas and experiences contributes to isolation and despair. This, consciously or not, is exactly what the bosses want. Especially in a period when workers and young people are starting to look at ways to challenge them. To create art – or simply to enjoy it – you need the facilities and time to do it. Otherwise it becomes only the wealthy who can participate. This is linked to the need for free, high-quality education for all. Learning should be a creative process that starts the day you are born and only ends the day you die. It is also linked to the need for higher wages and lower hours, to give everyone the time and energy to take part. Governments are cutting libraries, arts centres, museums, schools and universities, youth facilities and more. They are selling off community assets to private profit-makers. All this is increasing cultural poverty. Add to this the lack of affordable rehearsal and workshop spaces, and it is easy to see why many people are looking for a way to fight back, in defence of arts and culture. It is not only retaining and extending art and cultural institutions, but how the capitalists use them. Establishment politicians see the arts and culture not as the property of communities who create them, but as selling points. In Barcelona, for instance, they throw up luxury flats and battery hotels. We welcome travel and tourism as essential to the human experience. But the bosses funnel tourists into the area in an exploitative way, encouraging bingeing to maximise the cash they can extract. They consciously attract the super-rich to these new homes, pushing up rents and property values, and pushing workers, young people – and artists – out. All this has a negative impact on communities and the art we create. These issues are linked. Full, healthy artistic access for all is not possible under capitalism: its driving force is exploitation for profit rather than provision for human need. Look at the huge profits at the top end of the arts industry, while all we experience is cuts and closures. Where a cultural facility is needed, and we are told there is ‘no money’ for it, then we must build a campaign – to win that money back from the bosses’ profits and the government. Arts and culture should be in the public domain, not in private hands. Artists, workers and the community should own and democratically control artistic and cultural facilities to maintain them for all, not for the bosses’ profits. Access is our starting point – but that access needs creative freedom to have meaning. The capitalists understand the power of art. Every day they use it. Advertising uses it to sell us products which are unnecessary, or unnecessarily duplicated by competing firms. Cinemas screen films portraying violent billionaires like Bruce Wayne and Tony Stark as superheroes. The changing public mood means there is a developing anticapitalist edge to some mainstream art: The Lego Movie’s villain, for example, was the dictatorial President Business. But in the main, the art which capitalism pushes forward actively asserts – or passively accepts – the supremacy of big business, racist and sexist stereotypes, and so on.  Socialists must also engage with art in a political way to fight these ideas. True art must be won to the revolution. But for us, art is not simply reduced to a propaganda tool. Foremost for us is that art must be free to exist purely on its own merits, in whichever genre, to promote true freedom of expression. In many countries around the world artists and their alternative visions are imprisoned, banned and oppressed. This alone proves the power of art. These direct violations of artists’ rights are part of the ruling class’s response to the wider social problems that capitalism is creating for the majority. Fighting artistic oppression means fighting to eradicate the system that causes it. In many of the advanced capitalist countries, there is seeming artistic freedom. A wide range of arts gets aired, including protest art. By selectively allowing alternative views through, it can maintain some control over them – and sideline ideas more dangerous to its position of power. The establishment tends to present culture as either ‘low’ or ‘high’. It is either patronisingly dumbed down for the masses to digest, or offered as an exclusive intellectual delicacy for the higher orders. There is no such thing as non-bias. All information has an opinion: what you include, how you include it, and what you leave out. Under capitalism, news media, record companies, art houses and so on are business concerns. The people who own them make fat profits from them and have no interest in distributing ideas which might help upset this. The internet has opened up some opportunities for wider access and freedom. But in the end, it has not won the fight for freedom, but opened up another battlefield for capitalist control.  Capitalism sees art as a status symbol for the rich, or as a commodity to exploit. It is largely only willing to fund artistic expression which is commercially and politically ‘safe’. 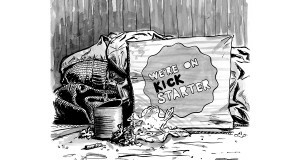 Artists face overwhelming economic pressure to conform, or live in poverty. Under these conditions true freedom of expression on a mass scale is impossible.  This lack of freedom and control alienates artists. Some create ‘countercultures’ as an alternative to the mainstream. But in doing so, they can risk cutting themselves off from the fight to change society at large. This is a problem because capitalism always attempts to co-opt the most successful of these alternative movements. Jazz, hip hop and graffiti all started as artistic protest movements among working-class black youth. Artists do still make progressive political work in these forms, especially the latter two. However, many now see jazz as the preserve of white, wealthy intellectuals. Mainstream hip hop produces some of the most ultra-capitalist and sexist propaganda around. And agents like Steve Lazarides make millions on the super-rich appetite for ‘edgy’ street art. We need our own art. Workers, young people and all those who face oppression need a way to constructively express frustration and anger, and to understand those feelings, and to confront their causes. But we also need access to all the artistic treasures the ruling classes lock away from us with financial and educational chains. We need to defend the right of all forms of artistic expression to exist. At the same time, we have to explain that within class-based social systems, like capitalism, politically backwards art is an inevitable product of economic and social pressures. Those making reactionary comment should not expect it to go unchallenged. Offering artists a vision of freedom from the control and distortions of capitalism on our thinking and work is central to the case for socialism. Socialism could free humanity from meaningless, thankless toil. It could shorten the working day, and lift wages and conditions through public ownership and democratic planning of the economy. It could let loose the huge potential of modern technologies to create leisure time, and untie artistic pursuit from the profit god. On this basis, individual and collective passions and talents can flourish for all society to enjoy. This is freedom for art! But it must be fought for. If we are to start to fight for these changes, we need to organise. To some artists this work can seem thorny. We say grasp the thorn. The talent, creativity and dedication of the artist is more than equal to the demands of organising to save the arts. The traditional organising methods of the workers’ movement are key. There is a massive role for trade unions to play, especially those that organise creative workers. 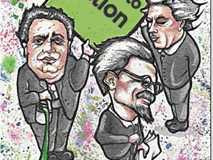 Arts and culture sector unions need to reach the aspiring artists, not just those in work. Often unions lack a radical agenda to appeal to new and aspiring artists. Community campaigns and social movements are also good places to build resistance to the attacks on art and culture. These types of campaigns unite the communities affected. Often their goals are defensive, attempting to save a service. But we also need offensive campaigns, campaigns for more facilities, more jobs, more time, better pay, to win younger generations to the struggle. Unless trade union and social struggles build a combined political voice for workers and young people, explaining the need to change society from the bottom up, the victories of these campaigns will be temporary. 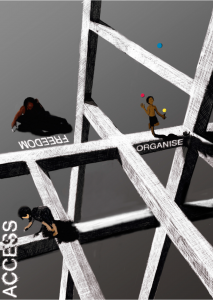 It is true that some artists can be hard to organise.  Especially those ‘conscious artists’, who place producing art above the need for financial security. Some of us cannot immediately see the need to struggle beyond our immediate personal difficulties. To reach them, we need to explain that the fight to change society is the only way to permanently overcome these personal difficulties. We need to be creative, and build campaigns that bridge the current gap between some artists and the wider workers’ movement. There are ‘radical art collectives’ that stand against the current system, either by forging new forms of art, or by producing political work. We applaud the correct instincts of these groups in coming together to work for change. But some of these groups also have weaknesses in their approach. Some are connected directly or indirectly to big business for funding. Ultimately this leads them to tone down their politics – or offer damning critiques of the current state of things, without concluding that we must organise to change them. Others rely on anarchist-inspired methods of direct action in the community. This is often very positive, but does not always link up with workers and residents or explain the need to organise a combined political struggle. Art can help change and develop individuals’ views and understanding of social issues. This is good. But in itself, it does not actually challenge the way society is run. There exists a space to develop groups of artists and culture workers which can advance the agenda of socialist struggle in the arts, and unite the various struggles. We want to help build such a movement, and help it develop the most effective political ideas and strategies. Art alone cannot change the world.Only the workers, through independent political organisation, can mount a final challenge to the capitalist way of organising society. But art has a vital part to play in that struggle, whether your art is painting flowers or designing revolutionary leaflets. The essential demands for access and freedom are tied at every level to the need to change society. Campaigning is most effective when linking these daily struggles to their ultimate cause, the real enemy of art: the capitalist system. The workers’ movement needs the inspiration and talent of creatives to help win the fight with capitalism. The artists need the workers’ movement as the force with the economic and social power to change society. Art alone cannot change the world. But we cannot change the world without art! Next: What is capitalism? What is socialism?